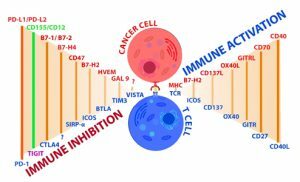 Over the last several years, the Immune System has appeared as a central, priority target to fight cancer and various other diseases. Currently, in cancer treatment most of the Immunotherapeutic successes, are molecules developed to modulate and restore immune response by targeting critical Immune Checkpoints. Some of them can activate T Cells, and on the opposite, some can inhibit this response against cancer cells, such as PD-1 and CTLA4, two of the most studied Immune Checkpoints. The majority of the popular molecules approved in Immunotherapy which have led to clinical benefits, are antibodies inhibiting immune checkpoint activities, such for PD1 with nivolumab and pembrolizumab, or CTLA4 with ipilumab. Unfortunately, cancer cells have other targets to modulate immune response, explaining why researchers continue to identify new Immune checkpoints for anticancer therapies. In this way, the TIGIT inhibitory pathways such as PD1 and CTLA4 have emerged as promising new targets for cancer treatment. Positive response to treatment is not guaranteed and resistance remains a concern. Improving outcomes based on immunotherapy, requires multiple approaches for manipulating the complexities of the immune system and tumor micro-environment. 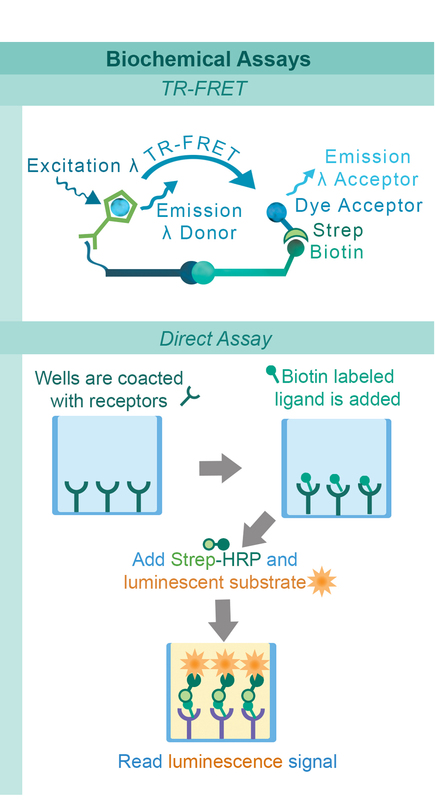 To meet these challenges, BPS Bioscience provides a series of Cell based and Biochemical assays for screening antibodies, biologics, and small molecules against multiple immune-checkpoint pathways (e.g. PD-1:PD-L1 and others) . Human T cells and Natural Killer (NK) cells express a co-inhibitory receptor on their surface called TIGIT, for T-cell immunoreceptor with Ig and ITIM domains. TIGIT binds proteins on the surface of dendritic cells, the CD155 and CD112. This cellular interaction stops the T cell and NK cell activation and cytokine production. Thus, inhibition of this binding increases immune response. CHO-K1 cells constantly expressing CD155 and a TCR-activator (#60548) interact with Jurkat cells that express the firefly luciferase gene controlled by NFAT response elements and constantly express TIGIT. 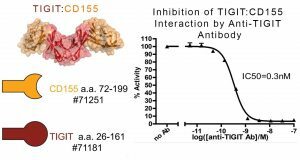 The TIGIT:CD155 interaction inhibits luciferase expression (#60538). As shown on the right panel of this image, the Anti-TIGIT antibody inhibits the TIGIT:CD155 interaction, allowing the production of the reporter signal. The TIGIT:CD155 Homogeneous Assay Kit (#72029) is designed to measure the inhibition of TIGIT binding to CD155. 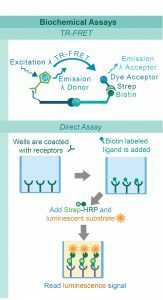 It comes in a convenient AlphaLISA® format with purified biotinylated TIGIT, His-tagged CD155, and assay buffer to perform a total of 384 reactions. With this kit, only three simple steps on a microtiter plate are required. First, a sample containing TIGIT and an inhibitor of choice is incubated with the CD155 for 60 minutes. Next, acceptor beads are added, then donor beads, followed by reading the Alpha-counts. Right pictures shows that the Anti-TIGIT antibody inhibits the protein-protein interaction between the purified extracellular domains of TIGIT:CD155 the TIGIT:CD155 interaction. The anti-TIGIT (71218), called inhibitor antibody can be used to block the TIGIT:CD115/CD112 binding in vitro. It is the recommended positive control for biochemical assays. For cell-based assays, the positive control is the anti-TIGIT (71340), called neutralizing antibody. It can be use with the luciferase reporter TIGIT /NFAT cell line (60538) and the CD155/TCR Activator Cell line (60548). 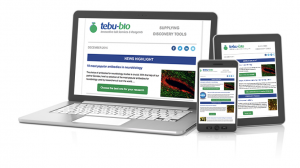 Regarding Immunotherapy and cancer research, you might also be interested in other products such as proteins, antibodies, inhibitor/activator molecules, chemical compounds, and cellular lines easily accessible with this search engine. Finally, if you’re considering outsourcing cellular line engineering services, recombinant protein production or any other (part) of your projects, you can always call upon a broad range of Custom services, performed in our European based laboratories.